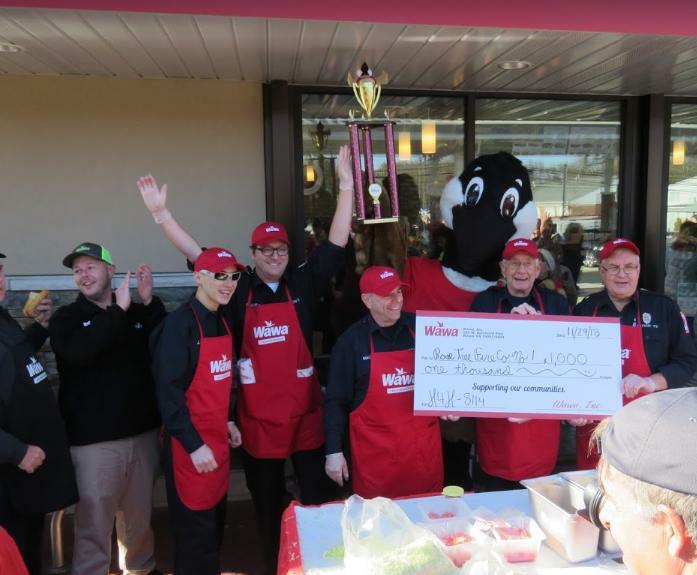 To celebrate the grand re-opening of the Wawa across from our station, Wawa invited our company and Upper Providence Police Department to compete in a good natured hoagie building competition. A brisk morning didn’t stop Team RTFC from making the win in the outdoor competition, receiving a trophy and a $1,000 donation. After official hoagie college and a few speeches the competition was underway and after all the lunchmeat, lettuce and tomatoes settled the count was RTFC 19, UPPD 17. Thank you to WAWA for the invitation, donation and trophy and to UPPD for a fun morning.